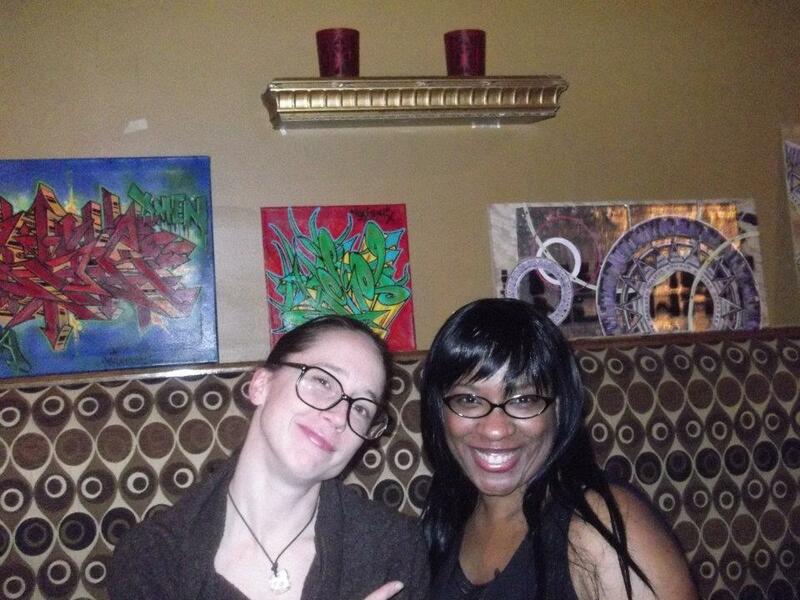 Me with Queen Lase... That is one of my creations in the background aside a Heckel piece! Sunday Feb 26th 9pm @ Bluelight in Chicago: I had a few paintings for sale along side some Chi-town hard hitters such as Chris Silva, Tsel and Trixter. Thanks to Heckel for the invite; It was a great night of networking, art discussions and of course dj, breaking and rap! One creation, “Red Line” found a new home with my old friend Max- a frequent rider of the “Red Line” himself.